Valid at Lifestyle, Home Centre, select Max and Melange stores in India (Click here to locate the outlet near you). 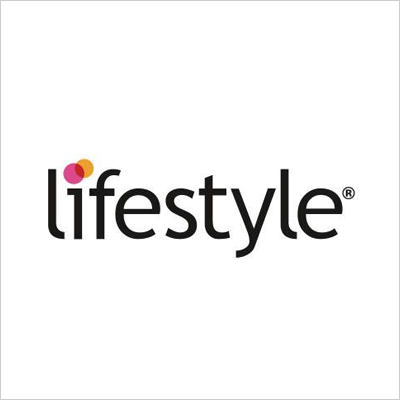 Originating in India in the year 1999, Lifestyle is a retail fashion brand which comes under Dubai-based retail and hospitality conglomerate, the Landmark Group. 1. In this deal, you will get an open voucher through which you can purchase any product. 2. Valid at Lifestyle, Home Centre, select Max and Melange stores in India. Voucher is also redeemable for online purchases at LifestyleStores.com, HomeCentre.com and MaxFashion.com. 3. Click here to locate the outlet near you. 4. Valid for 1 year from the date of issue. 5. Lifestyle voucher is issued by Qwikcilver Solutions Private Limited. 6. The voucher cannot be used at Cafes/Food Courts within Lifestyle. 7. This Lifestyle voucher can be redeemed only once and In full. 8. In case the value of the merchandise exceeds the value of the voucher, the difference shall be paid by the bearer. 9. Protect the voucher number and PIN to avoid misuse. Lifestyle shall not assume any liability in case the PIN gets stolen/compromised & Lifestyle shall neither replace the voucher nor refund cash. 10. Once issued, this lifestyle voucher cannot be canceled or blocked. 11. Any dispute shall be referred to Lifestyle International Pvt. Ltd & the decision of the company shall be final & subject to Bangalore jurisdiction. 12. Users who have not undergone Paytm KYC will not receive cashback in their wallets. Visit the Lifestyle store / website to redeem the value of the voucher. Share the voucher with the cashier at the time of payment or enter the code at the time of checkout. 1. You will get a Paytm Movie Voucher worth Rs.200. 4. The code is valid for 90 days. 1. You will get a Paytm Electricity voucher worth Rs.150. 3. The code is valid for 60 days. 4. The same code can be used 2 times. 5. The code can be used only once per month. 6. The minimum cart value is Rs.700.